Young patients and staff at Maidstone and Tunbridge Wells NHS Trust (MTW) have been having fun celebrating National Play in Hospital Week. The event, which ran from Monday 8th– Friday 12th October, is organised by the National Association of Health Play Specialists (NAHPS) and supported by Starlight Children’s Foundation, a national charity which provides play and distraction services in hospitals and hospices across the UK. National Play in Hospital Week was set up in 2010 to raise awareness of the positive impact of play on sick children and young people in a hospital setting. 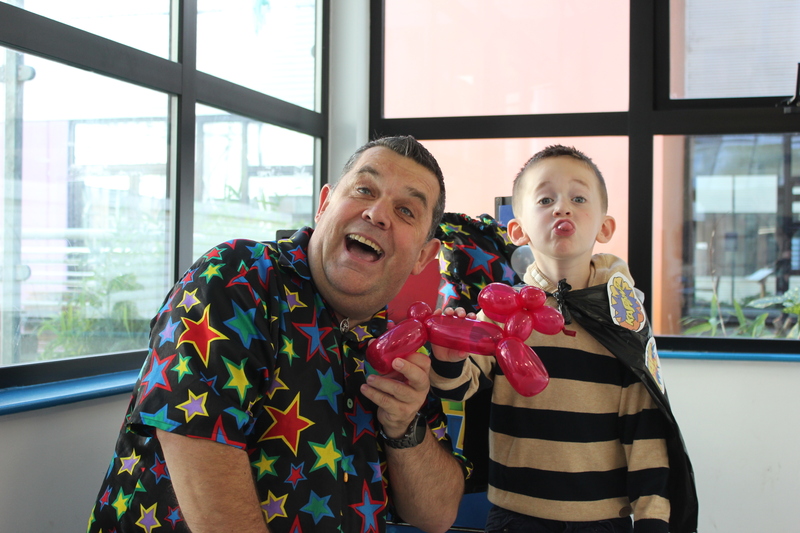 Now in its eighth-year hospitals and hospices across the country, including MTW, got behind the annual event with a week of play related activities, including a visit from Animal Encounters and a magician which were enjoyed by staff, patients and visitors. Staff also dressed up throughout the week to keep youngsters entertained. With nearly 49,000 children and young people in the UK living with a life-limiting or life-threatening condition and 5,500 new diagnoses each year, the need for play and entertainment services for children in hospitals has never been greater. Research has highlighted the importance of play in hospital, both in preparing children for treatment and providing ways for them to work through anxieties and fears and deal with their experiences. Many hospitals, including MTW, now employ Health Play Specialists who use tools such as Starlight’s Distraction Boxes that contain toys, games and puzzles to distract and calm a child while medical treatments are undertaken. Dr Hilary Cass (Senior Clinical Advisor for Children and Young People’s Health, Health Education England) and Patron of the National Association of Health Play Specialists (NAHPS) added: “National Play in Hospital Week continues to be an important week in hospital calendars as it provides hospital, hospice and community team staff the opportunity to mark and celebrate the importance of their work and the impact that play and distraction brings in the treatment of poorly children and young people. We’re thrilled with the effort that staff in hospitals and hospices across the UK have put into making this year’s event a big success”. This year’s National Play in Hospital Week’s theme is centred around the work of the Health Play Specialist and includes the first ever Starlight Health Play Specialist of the Year Award. Starlight Children’s Foundation is a national children’s charity dedicated to brightening the lives of children and young people suffering from a serious illness. We do this through our extensive hospital entertainment, wish granting and Escape programmes. These programmes offer play distraction at a time when families and young people are going through difficult treatments and procedures.